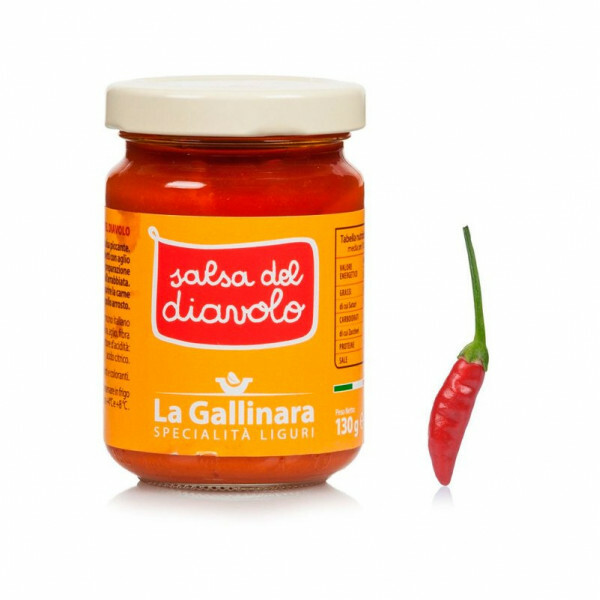 A spicy sauce good for your main courses. A delicious hot sauce, ideal on spaghetti with garlic and oil, and for the preparation of a classic Italian recipe: penne all’arrabbiata. Italian chilli (71%) , olive oil, garlic, plant fibre, salt, acidity regulator: citric acid. No preservatives and colorants.